Today we remain in Fred Goerner’s mid-1960s heydays, a few years before the The Search for Amelia Earhart became a bestseller in 1966 and just as Goerner had departed for his fourth visit to Saipan. 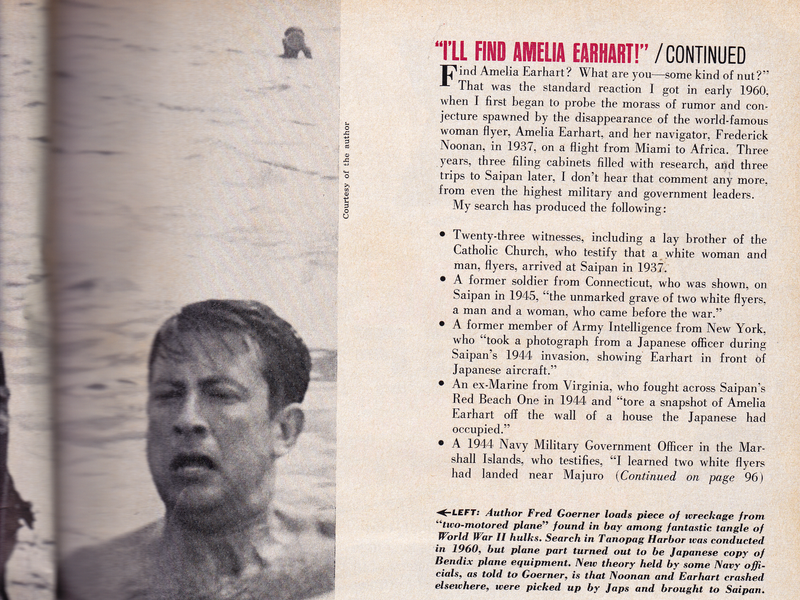 From the January 1964 issue of the now-defunct Argosy (“For Men”) magazine, we present “I’ll Find Amelia Earhart,” which, to my knowledge, is the first of just two nationally published accounts of Fred Goerner’s early 1960s investigations on Saipan, this one covering his first three trips, from 1960 to 1962. A few years later, the September 1966 issue of True magazine published a long preview of the soon-to-be-published Search. 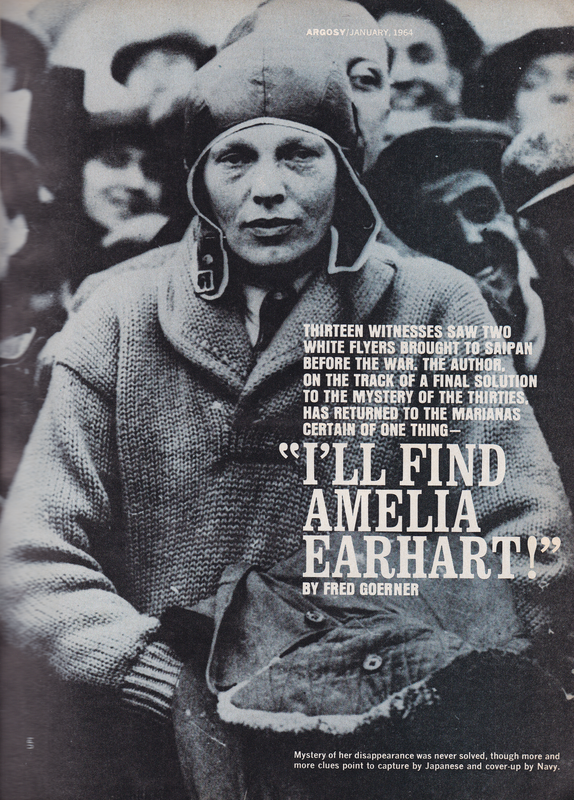 I found this story only recently; I think, but am not entirely certain, that it’s Goerner’s earliest published national account of his Earhart investigations. The story reflects his passion for the truth and determination to succeed against the increasingly trenchant stonewalling policies of the U.S. government he was beginning to experience, as the feds circled their wagons around another sacred cow. At this stage of his research, Goerner had yet to fully understand the true nature of the forces arrayed against him. Once again, just as in my last post, you are invited to compare the below story with the mendacious, ridiculous fare about the Earhart “mystery” we’re force-fed today, as the U.S. government’s Earhart disinformation machine continues to click on all cylinders, and more people than ever are ignorant about the facts. As I always try to do with original material, I’m reproducing this article as it appeared in Argosy as closely as possible, using the same photos and cutlines and editing only for mistakes that would distract. Because of the its length, I’ll present “I’ll Find Amelia Earhart” in four segments. Forthwith is Part I, as we return to January 1964. • A series of strange discrepancies appearing in the official logs of the Coast Guard Cutter Itasca, Earhart’s homing vessel at Howland Island in 1937, and the U.S.S. Lexington, the Navy carrier dispatched to search for her and Fred. • Literally hundreds of bits of information, none of which have been satisfactorily answered by official sources, that point directly to the Saipan conclusion. • A strong feeling that Earhart and Noonan may be the key that will make public the truth behind one of the most incredible and least-known periods in United States Military Intelligence history – the twenty years that led to Pearl Harbor. The evidence is so great that, as you read this, I will once more be on Saipan. This is the fourth expedition in as many years, and this trip may well provide the final answer we have so diligently sought. More than a little skeptical, I called her to ask why she had been late in making the story public. The Navy dentist turned out to be Casimir Sheft, now in civilian practice in Passaic, New Jersey. Sheft didn’t know that Mrs. Akiyama had come to the United States, but he did back up her story. The possibility of corroborative testimony seemed to me to be sufficient to warrant an expedition to Saipan. There was a ring of truth to the stories of both Mrs. Akiyama and Dr. Sheft, and it seemed logical to assume that if Josephine Akiyama, as a young girl, had learned about “two white flyers,” there must be others still alive on that island who knew something. Permission to visit Saipan wasn’t easy to obtain. At first, it was denied, then, after various appeals, the Navy Department relented. Early in June 1960, I left for the Marianas. I paused at Guam for clearance and Navy transportation to Saipan, and the aura of secrecy was deepened when naval officials told me that, on Saipan, I was to behave myself and if I were a member of the military. From the air, Saipan, a twelve-by-five-mile dot, appears to be a tropical paradise. On the ground, the impression is entirely different. Scene of some of the most brutal fighting of World War II, Saipan still shows the scars. The rusting hulks of tanks and landing craft are scattered on her reefs, and the shattered superstructures of sunken Japanese ships protrude above the surface of her harbors. The jungles have covered the craters and foxholes, but in a day’s time, enough live ammunition to start a small revolution can still be collected. In the 1944 invasion, the United States forces suffered more than 15,000 casualties. The cost to Japan and the natives was even more dear. Twenty-nine [thousand] of 30,000 Japanese troops and an estimated half the native population were killed. The cloak-and-dagger atmosphere was not dispelled at Saipan. Immediately after landing, Commander Paul Bridwell, head of the Naval Administration Unit, whisked me to his quarters overlooking Tanapag Harbor, and spelled out some basic rules for my behavior while on the island. I was not to go further north on Saipan than the administration area, and under no circumstances, was I to go over to the east side of the island. You know about the bull and the red flag? Well, that’s how such a conversation affects a newsman. But I decided I had come on the Earhart story, and on the Earhart story I would work. It’s an understatement to say that it’s difficult to conduct an investigation when half the territory is denied you, but Bridwell was very anxious to be of help. He gave me the names of some ten natives “who should know if Earhart and Noonan were on the island.” He personally led me to the natives and, to a man, they knew nothing. They were not only vague about everything before the war, I began to get the feeling I was listening to a phonograph record. It was then I enlisted the aid of Monsignor Oscar Calvo, Father Arnold Bendowske and Father Sylvan Conover of the Catholic Church Mission at Chalan Kanoa. Nearly all of the 8,000 Chamorros and Carolinian natives who inhabit Saipan today embrace Catholicism. Monsignor Calvo, a native of Guam, Father Sylvan of Brooklyn, New York, and Father Arnold of Milwaukee, Wisconsin, had not been on the island before the war. A Spanish Jesuit priest and a lay brother had operated the mission under the Japanese. 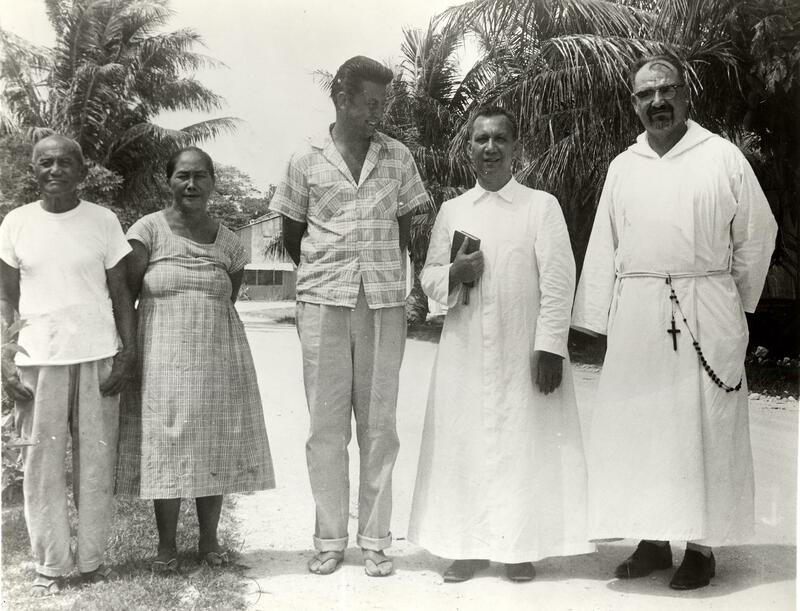 Father Tardio returned to Saipan after the war, where he died. Brother Gregorio is stationed at the church mission at Yap. Monsignor Calvo told me that the natives I had been led to by Commander Bridwell all worked for the Navy or a mysterious entity known only as NTTU, that inhabited the parts of Saipan I was not to visit, under penalty of no one knew what. Monsignor and the two priests had heard vague rumors about some white people help on the island before the war, but had not done any probing. They were glad, however, to help if they could. I first laid some ground rules for the questioning: We would not ask people if they remembered the two white flyers captured by the Japanese before the war. 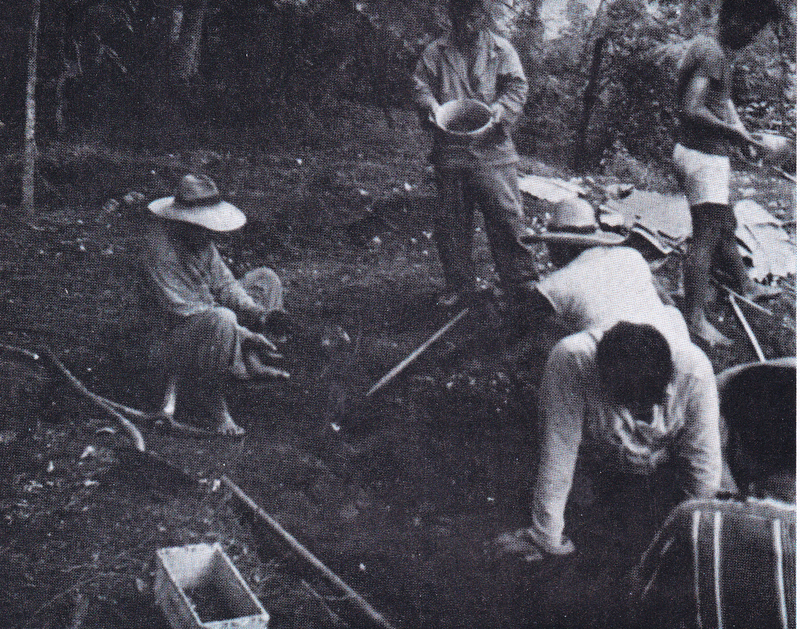 We would first talk about recent years, then the period of the war, and finally pre-war Saipan. At a likely moment, Monsignor Calvo would ask, “Did you ever see or know of any white people on the island before the war?” If the reply was no, the questioning would be dropped. If the answer was affirmative, we would try to determine if a firm identification and a definite year could be established. Two white flyers, a man and a woman, arrived at Tanapag Harbor in 1937. The woman had very closely cut hair, and at first, appeared to be a man. They were brought ashore in a Japanese launch and taken by command car into the city of Garapan to military headquarters. (Garapan was completely destroyed during the 1944 invasion.) After a period of time in the building, the pair was separated. The man, who had some kind of a bandage around his head, was taken to the military police barracks stockade at Punta Muchot, while the woman was placed in a cell at Garapan Prison. 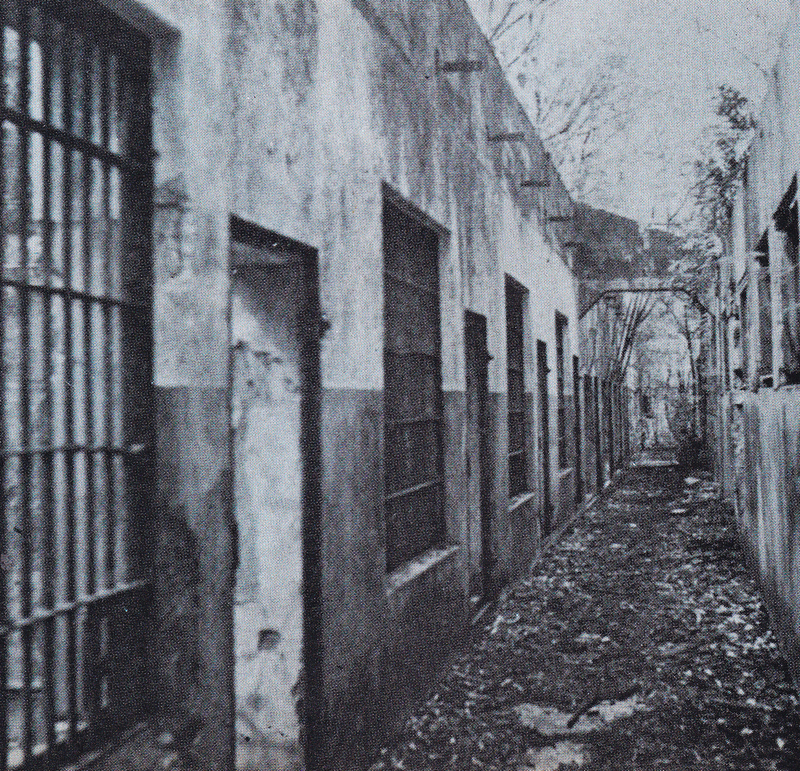 Shortly thereafter, probably after a few hours, the woman was taken from the prison back into Garapan to a hotel which served as a detention center for certain political prisoners. The woman was kept at the hotel for a period of from six to eight months. Allowed a brief period of exercise each day in the yard, she was constantly kept under guard. After the aforementioned six to eight months, the woman died of dysentery. She was buried a day or so later, just outside a native cemetery near Garapan, in an unmarked grave. The man who had come to the island with her was taken with the woman’s body to the graveside, beheaded and buried with her. The Japanese said several times that the two had been American flyers spying on Japan. “Are you sure they are telling the truth?” I asked Monsignor Calvo. It’s intriguing, to look back & read of Fred Goerner’s earliest attempts in locating artifacts of the Lockheed Electra. Of course he didn’t find any parts or pieces, where he thought it may have been; but instead parts from Japanese planes. Fred’s courage, steadfast determination, dogged persistence did lead him to native testimonies, new revelations and shed the most light upon the *truth than anyone before him. Fred Goerner was the earliest pioneer/patriot of the *TRUTH. It’s GREAT to see these articles and how far Mike Campbell has brought us from this period. Thanks Mike for sharing this with us. Just in case anyone is interested, the cover of the January 1964 issue of Argosy, in which Fred Goerner’s article was featured, can be found at the website below. The full issue of this Argosy is for sale on eBay. I wonder how many people still have their old copy? 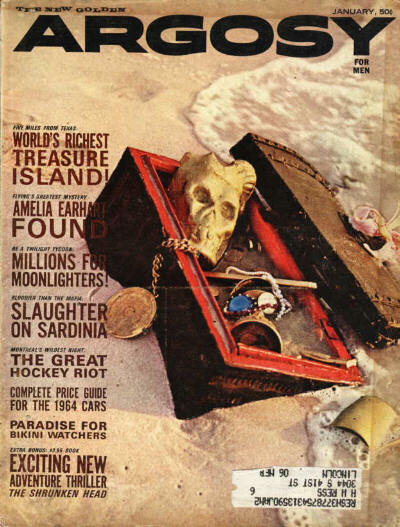 I used to read those magazines, Argosy and True back in my youthful days and never came across the Amelia Earhart story, but by 1964 I was doing very little reading of anything so missed the whole AE mystery. Lately, (this week) my reading tells me AE was not treated any differently than your average captive left behind in wartime, that is they are all ignored and declared MIA or dead because it’s simpler that way. So there is probably no huge secret that would astound us and all presidents would and do act in the callous way FDR did. They are all protected from the truth just as FDR was. Just last night I was reading about the U-2 spyplane that was shot down eventually and I believe that story is similar to AE, the Japanese weren’t supposed to have any planes with the capability of shooting her down, at least in the Marshals, but that turned out to be misinformation. Also this week, I came across my usual email plea from Ric Gillespie for more money but what was curious about it is he is seriously perturbed about the History channel show which in his view gives the outrageously false Japanese capture theory way too much credence to the average American. His remedy is to have them read his “scientific” Nikumaroro theory to straighten out their thinking. So Ric doesn’t believe at all that the program discredits the Jap capture. it actually credits it and his contributions must have taken another nose dive. He obviously feels betrayed by the establishment/Hillary gang that helped line his pockets for years but he can’t say that. So we are supposed to morph into students of the Glenn Miller enigma where he will guide us. Remember he started out with the Nungesser/Coli search decades ago, maybe we can revisit that.